I grew up going to Dairy Queen (if I say many, many times it would be an understatement!) – and it is still my favorite ice cream. I can honestly say that over the 30 years of my life – I have tried almost everything on their menu at some point (well – maybe not everything– but all of the old staples – dilly bar, buster bar, peanut buster parfait – yes I have had them all). But I definitely have a few favorites – butterscotch dilly bar, hot fudge sundae w/crushed nuts and chocolate dipped strawberry blizzard. oh – the chocolate dipped strawberry blizzard is my current Dairy Queen item of choice! 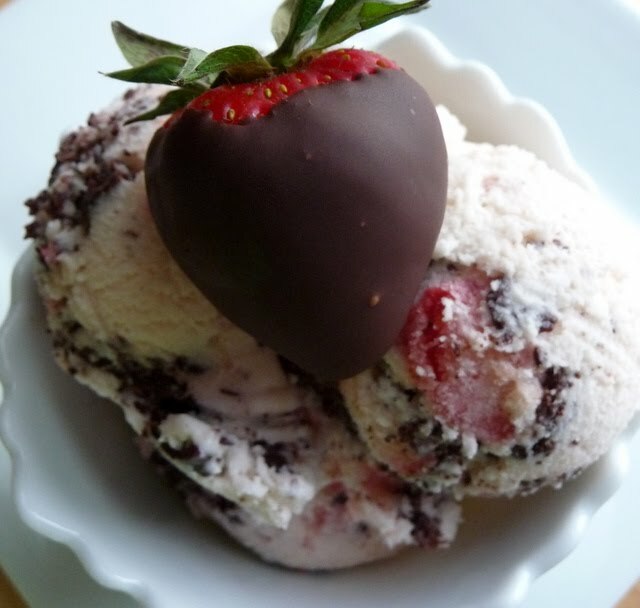 So when I wanted to make a new ice cream flavor – I could not stop thinking about combining chocolate and strawberries. I combined two recipes to get the perfect result – and I was even better (gasp!) than the Dairy Queen blizzard! 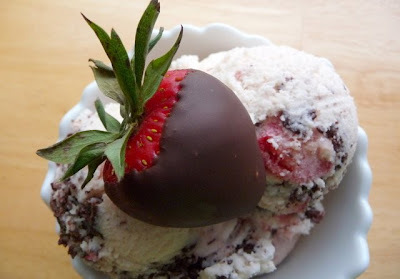 First, I made strawberry ice cream – but the chocolate was added by a technique called stracciatella that I learned in The Perfect Scoop by David Lebovitz – the king of ice cream. This technique is really just combining warm melted chocolate into the ice cream at the last minute of churning – and when it freezes it leaves the perfect chocolate chip texture in the ice cream. So it was really similar to the chocolate shell on a chocolate dipped strawberry. 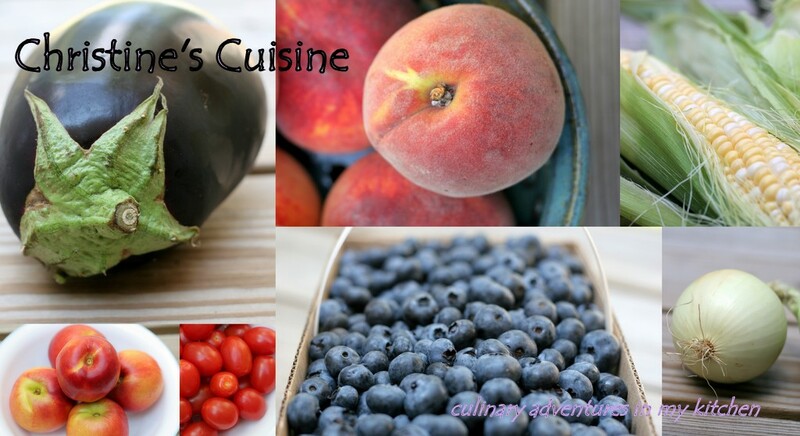 Enjoy this recipe – perfect timing for strawberry season! 1. Combine the strawberries, 1/3 cup sugar and lemon juice in a mixing bowl. Cover and refrigerate at least 1 hour. 2. Whisk the eggs in a mixing bowl until light and fluffy, about 1-2 minutes. 3. Whisk in the sugar (3/4 cup), a little at a time, and then continue whisking until completely blended, about 1 minute more. 4. Pour in the cream and milk and whisk to blend. Refrigerate until ready to churn. 5. Mash the strawberries to a puree (either with a food processor or immersion blender) and stir into the cream base. 6. Transfer the mixture to an ice cream maker and freeze following the manufacturer’s instructions. 7. Melt the chocolate in a completely dry measuring cup in the microwave (~2 min. on 50% power). 8. At the last minute of churning, drizzle a very thin stream of warm chocolate into the ice cream maker. If the chocolate clings to the dasher – you can just layer the chocolate as you remove the ice cream from the machine – and break up the chocolate with a spoon as it hardens. 9. Place ice cream in freezer for 12-24 hours before serving. this looks amazing! i could totally go for a bowl right now! Delish! I can't wait to try this.